I am suffering the curse of every DIYer in a small home - I hate throwing away pretty glass bottles, jars and all that other cool stuff that is causing inspiration the moment I see it. A sure case of too many ideas and too little time! 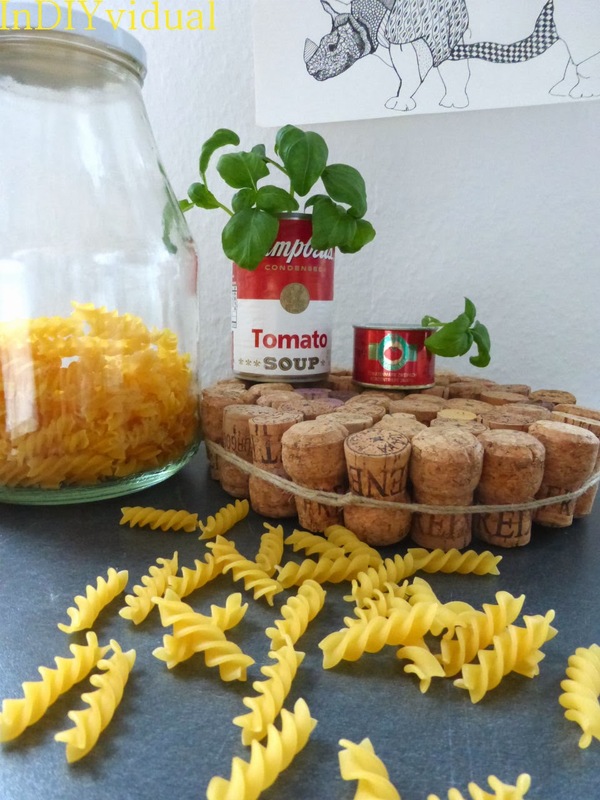 Another thing I am always hanging onto is corks. They are sooo pretty. But this time, I finally did use them! Pot holders are always needed, but not always pretty. This one really is, and it is easy to do. BTW I did not empty all those bottles myself! 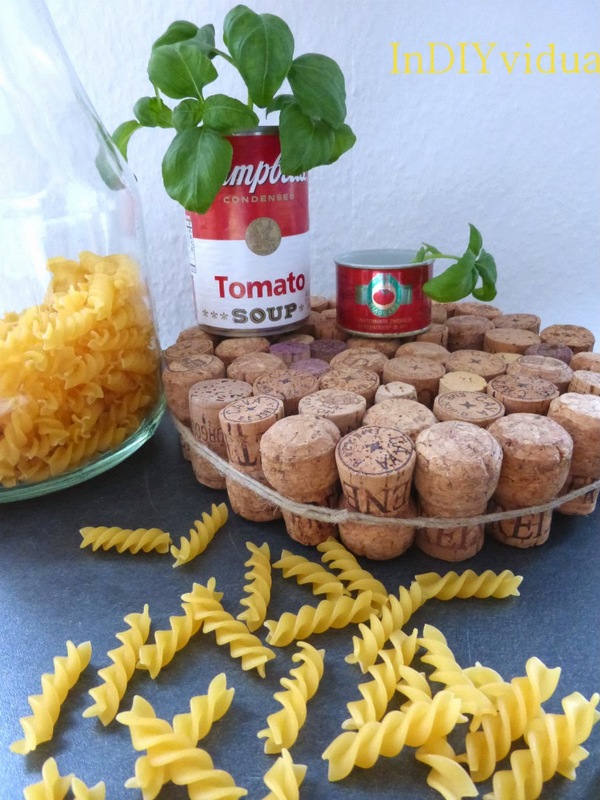 Arrange an assortement of corks in a circle. The pretty pictures should be outside, and put some winestained bottoms up, and some down. Once you have formed a circle, wrap it tigthly in twine. This is a little tricky, so don´t pull the twine to tight! After knotting the twine, push in a couple more corks until the twine is really tight and really holds the corks together. I think this pot holder is perfect for a rustic look! What a fun idea! 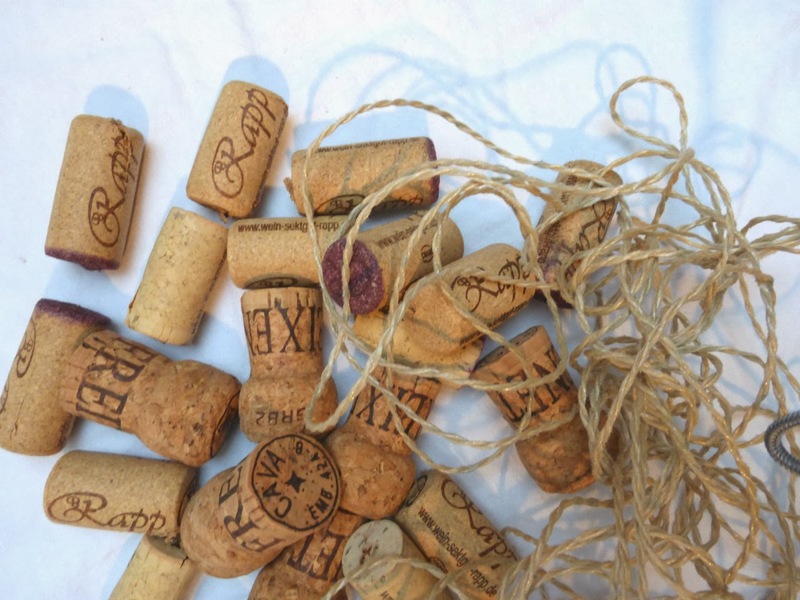 I've been saving corks for slightly over a year and waiting for the "perfect" project to use them on. I think I'll try this. Do that! Really, one can never have enough pot holders!